The biggest weekend in beer is coming up right after Labor Day. Aside from the upcoming Great American Beer Festival in Denver Sept. 24-26, this weekend is going to be one of the busiest for beer yet. If you are looking to get out and enjoy some great Boulder County beers, this is a perfect opportunity to do so. Here are some of the hoppy happenings you might like to try. 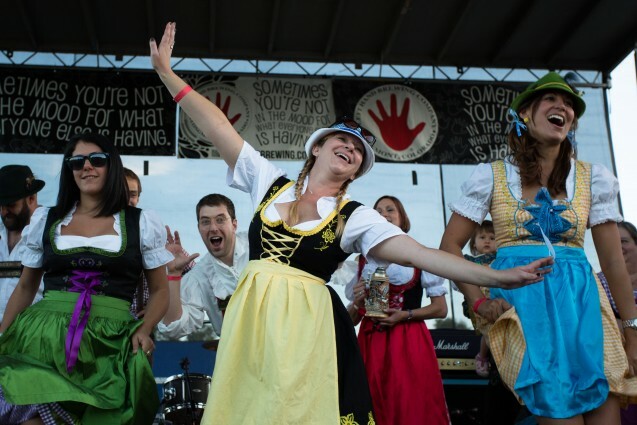 Get those lederhosen out of storage and come celebrate the German fall tradition of food, beer and fun for the whole family. General admission is free with $5 suggested donation that goes toward 2015 beneficiaries. VIP tickets can be purchased in advance for $35. Worlds Longest Weiner , 2014. Photo Left Hand Brewing. 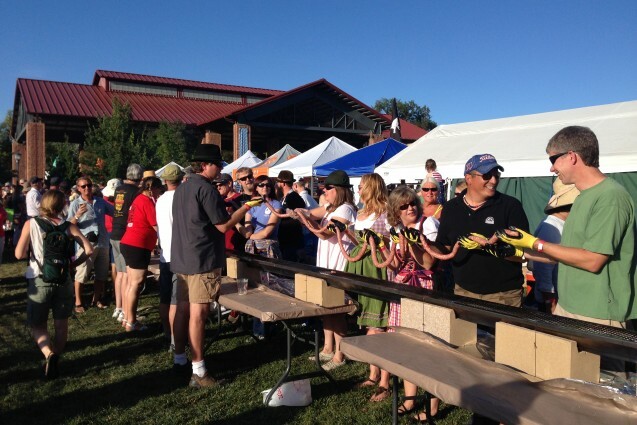 Presented by Left Hand Brewing of Longmont, the festival boasts notable attractions including the Locomotion Parade Saturday 10-11:30 on Main Street, Between 3rd Ave + Longs Peak Ave.
Don’t miss your chance to help build the World’s Largest Weiner Saturday at 3:30 p.m. (Fun for all ages), plus 10 live bands and 9 breweries (the biggest beer fest to date)! There will also be a best dressed competition, as well as stein holding and brat eating contests. Taste traditional German fare under the tents. Photo – Left Hand Brewing. Bring the family for a fun afternoon of live music, local craft beer, wine, food and more in quaint Old Town Lafayette. Entry is free, with reduced pricing for beer pours. See website for more details. 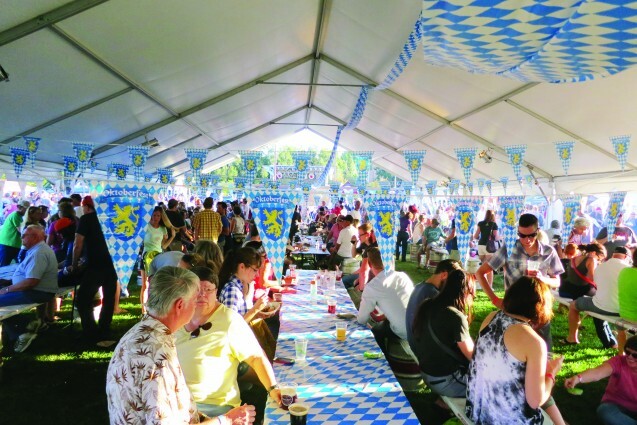 The Rotary Club of Boulder Valley, in conjunction with the Town of Superior Chili Fest will host a number of breweries and entertainment from blues funk and soul band, Jason Larson Band, and the award-winning, local a cappella group Face. Tickets are $30 in advance or $35 at the gate. Live music from the Legendary Jazz Ram and Full Belly. Special menu from the Worldwide Vittles Kitchen. Special Barrel Aged and Small Batch Beer tappings every hour! Enjoy live music, great beers and more at Sanitas Brewing’s 2-year celebration. Tickets are $10 for general admission. VIP tickets available. Saturday, Sept. 12: The Post Brewing Co. 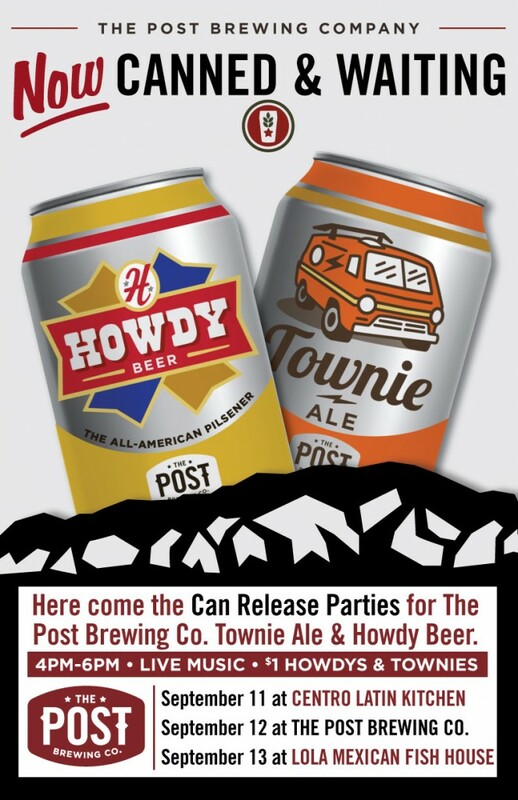 The Big Red F restaurant group celebrates the release of The Post’s Townie and Howdy cans by throwing three parties in three nights from 4 to 6 p.m. packed with live music, $1 Townie and Howdy cans, and fun. Don’t miss out on the festivities!